Head for the hills. That's the City of Seven Hills, better known as Cincinnati... chili, fantastic art, equally fantastic ice cream (Oprah is a fan) and some great museums. In Cincinnati USA your hotel is only a short stroll away – that's because there are nearly 3,200 hotel rooms in just three blocks right next to the Duke Energy Convention Center. Eleven downtown hotels. And thousands more rooms are a few minutes away throughout Cincinnati USA and on the Kentucky riverfront. Each offers an abundance of amenities at multiple price points. It's all right here. Easy. Compact. Search our site by location, meeting room size or amenities to find the right fit for your group. The newest all-suite hotel in the heart of downtown Cincinnati offers fully equipped kitchens, complimentary hot breakfast and evening Manager's Reception, WiFi, and easy access to shopping, dining and all business destinations. Offering a full bar as well as a billiards room with room to relax with colleagues and friends. The Springhill Suites Cincinnati Midtown is a newly renovated hotel located in close proximity to Downtown Cincinnati and Mt. Adams. Our hotel features free hot breakfast, Free WIFI, evening Lounge, indoor pool, Fitness Center, and Business Center. Each suite comes equipped with a microwave, mini fridge, sofa sleeper, and flat screen TV. Springhill Suites is a hotel with style and color, and warm smiles. Welcome to our brand new hotel, opened in November, 2016. We have 117 rooms with a mix of Kings and 2 Queens and a number of 1-bedroom King Suites. We are full-service with a restaurant serving breakfast, lunch and dinner and also a very nice bar area. We offer room service and 24/7 complimentary coffee. We have an indoor heated swimming pool on our 3rd floor and an exercise room. Our meeting space is on the 6th floor comprising of 2,807 sq ft of flexible meeting rooms and an additional 1,880 sq ft of pre-conference space. Conveniently located Downtown Cincinnati close to all major attractions. The Symphony Hotel is located in the Over the Rhine district. An 1873 Boutique Hotel & Restaurant with period antiques, Victorian lady bas-relief adorns the historic dining room, an espresso/tea bar, bar/lounge and a wine/bourbon tasting room. This historic hotel consists of 9 musical themed rooms; each named after a famous composer. While staying at the Symphony hotel enjoy their public restaurant and complimentary breakfast. 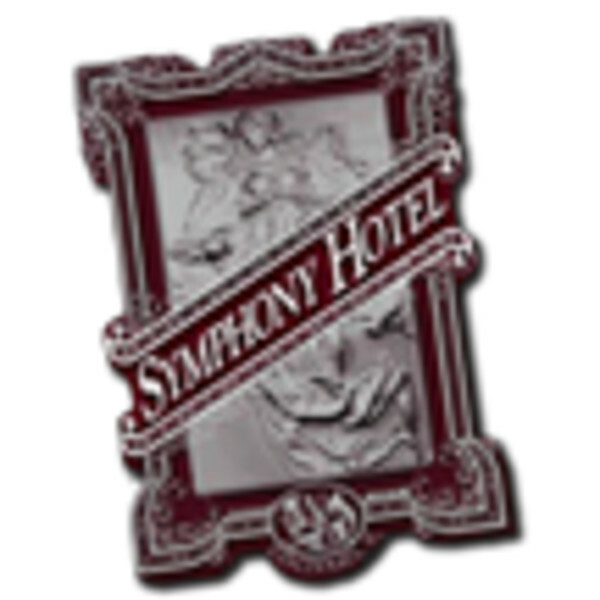 The Symphony Hotel is a great place to stay at when vacationing to the Greater Cincinnati area. Hampton Inn & Suites Cincinnati-Downtown offers top service, accommodations, and amenities in the downtown Cincinnati area. Our hotel is about 12 miles from the Cincinnati/Northern Kentucky Airport for a convenient commute and easy travel. It is one of the newest hotel in the heart of downtown Cincinnati. Our premier hotel offers complimentary hot breakfast, WiFi, and easy access to shopping, dining, and all business destinations. The hotel offers a full bar as well as a billiards room with room to relax with colleagues and friends. National Historic Landmark and French art deco masterpiece. Take the hotel sky-walk to various shops, restaurants, and only a short walk to the Duke Energy Convention Center. This National Historic AAA Four-Diamond hotel offers 40,000+ square feet of breathtaking meeting/banquet space. Consistently rated Hilton's #1 food & beverage hotel in USA. Our hotel amenities are designed to lessen the stress of traveling with our heated indoor pool, convenient garage parking, complimentary basic Wi-Fi, and our five star restaurant. Discover the picturesque Queen City from the Hyatt Regency Cincinnati, located in the epicenter of downtown Cincinnati. Our hotel is located just steps away from events at the Duke Energy Convention Center, history lessons at the National Underground Railroad, the art galleries of the Contemporary Arts Center, and the magic of Broadway at the Arnoff Center for the arts. This 22-story downtown Hyatt offers a 24-hour business center, cardio room, wi-fi access, free boarding pass printing, web and kiosk check-in valet. The Hyatt Regency Cincinnati also features the Red Roost Tavern, a 3-meal dining facility, and a marketplace with grab-and-go items. The Westin Cincinnati Hotel overlooks historic Fountain Square Cincinnati and is located in the heart of downtown Cincinnati, Ohio. The Westin is the perfect destination for things to do in Cincinnati and Cincinnati meetings. Our location is two blocks from the Duke Energy Convention Center and a short walk to the city's famed restaurants, shops, museums, theater, and sports venues including the Great American Ball Park, Paul Brown Stadium, Horseshoe Casino, the Aronoff Center for Performing Arts, the National Underground Railroad Freedom Center, the Contemporary Center for the Arts, and US Bank Arena. This European-inspired hotel is one of Cincinnati's newest hotels. Located next to the Great American Ball Park, the balconies and Rooftop Bar overlook the Ohio River, Smale Riverfront Park and Downtown. Features the AC Lounge and AC Kitchen with a European continental breakfast and tapas plates in the evening. AAA four diamond hotel located in the heart of downtown Cincinnati. Every guest receives VIP services and luxurious extras. All rooms feature high-speed Internet access, oversized Roman bathtubs, terry cloth robes, DVD players, mini bars & evening turn down. Complimentary downtown shuttle service. Our hotel amenities and concierge services add to the guests' comfort and convenience. The award-winning 21c offers a unique hotel experience combined with world-class dining and an 8,000 square foot contemporary art museum. The galleries double as meeting and event space. Consume global culture and connect with local communities when you visit 21c Museum Hotel, a multi-venue contemporary art museum, coupled with a boutique hotel and chef-driven restaurant. Quality Inn & Suites located near the Downtown Cincinnati Business District, Newport Aquarium, Paul Brown Stadium, Great American Ballpark, Cincinnati Zoo & Botanical Gardens, Duke Energy Convention Center, Aronoff Center, Taft Museum, Jack Cincinnati Casino, U.S. Bank Arena and the Contemporary Arts Center. The Quality Inn offers free parking, free Wi-Fi, free breakfast buffet daily, free fresh coffee and tea in the lobby, guest laundry, seasonal outdoor pool and microwaves & refrigerator in guestrooms. The Quality Inn &Suites offers 4,000 square feet of flexible meeting space. These are only a few of the accommodations options in Cincinnati. Search Acommodations to find the right hotel for you! All Meeting Space Sq. Ft. 0 - 5,000 Sq. Ft. 5,001 - 15,000 Sq. Ft. 15,001 - 30,000 Sq. Ft. 30,001+ Sq. Ft.